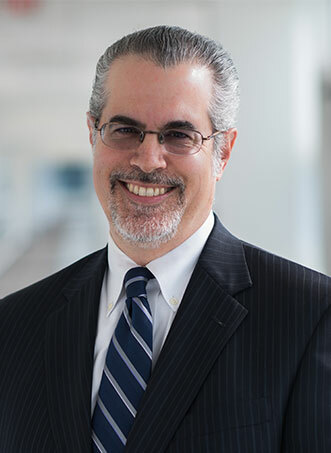 Paul Varriale’s practice focuses primarily on the defense of physicians, hospitals, and healthcare facilities, who are involved in claims of medical malpractice. In addition, Paul provides our current clients with legal counsel relating to many of the recent regulatory changes in the health care field and their impact on patient care. Prior to joining Lewis Johs Avallone Aviles, LLP, he was a senior associate at a metropolitan area law firm which also concentrates on claims of professional negligence. He has been involved in all aspects of litigations, from inception to trial. Paul also has considerable experience handling general negligence claims, including those involving premises liability, vehicular negligence, and construction accident claims. In addition to his litigation responsibilities, he also works with the firm’s Trust and Estates department. The practice includes basic and complex estate planning from a wide variety of clients and the administration of estates and trusts as well as the preparation of wills, living wills, powers of attorney and healthcare proxies. Paul was admitted to practice law in the State of New York in 1996. He received his Juris Doctorate degree from the Touro College, Jacob D. Fuchsberg Law Center in 1995. While in law school, he received the American Jurisprudence Award in Legal Methods, where he was awarded best brief, allowing him to grade onto the Moot Court Board. Paul earned his Bachelor of Arts degree from the State University of Albany, where he majored in English and minored in History.